The New multi-award winning SnuzPod 3 features a beautiful new style and design. 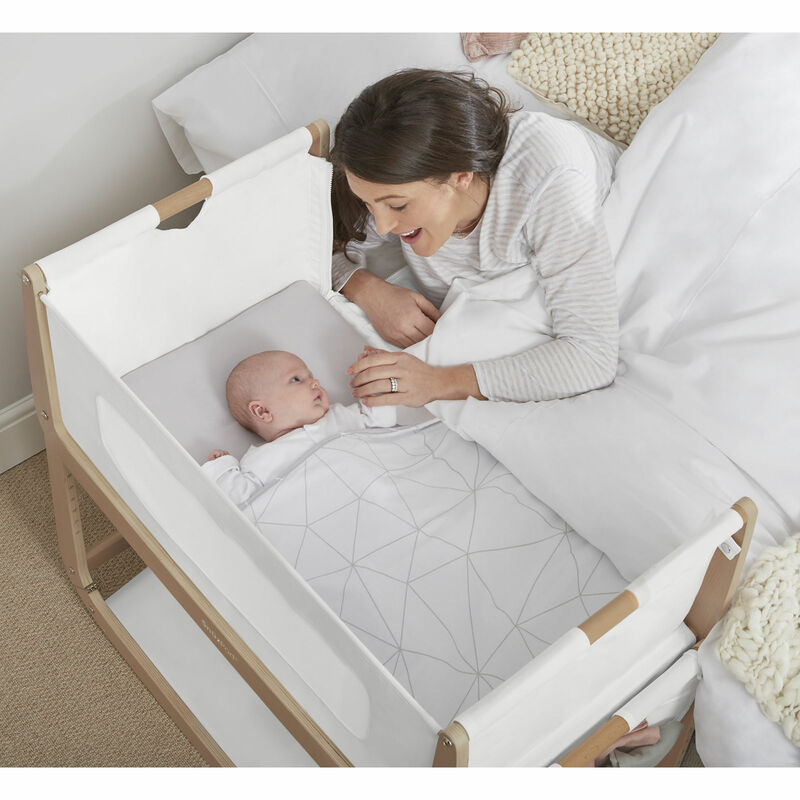 With a brand new reflux incline, a wider and more lightweight lift-off bassinet and dual-view breathable mesh sides, this provides the perfect sleep environment for your little bundle from birth to 6 months. 1. 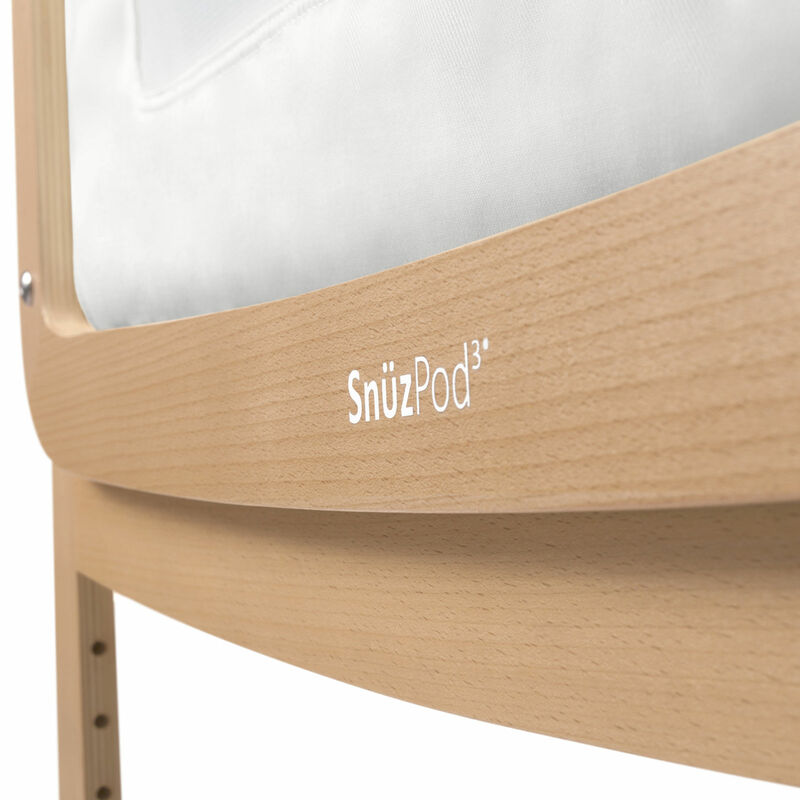 The bedside crib: As a safe alternative to co-sleeping, the SnuzPod 3 adjusts easily to the height of your mattress and securely attaches to both framed and divan beds using adjustable straps. The new dual-view breathable mesh sides offers high airflow levels, whilst the unique front zip-down wall allows you to stay close to your baby and feed throughout the night without the need for getting up. Ideal for C-section mums, the SnuzPod enables you to keep baby in your bedroom for the first six months (as recommended by experts). 2. 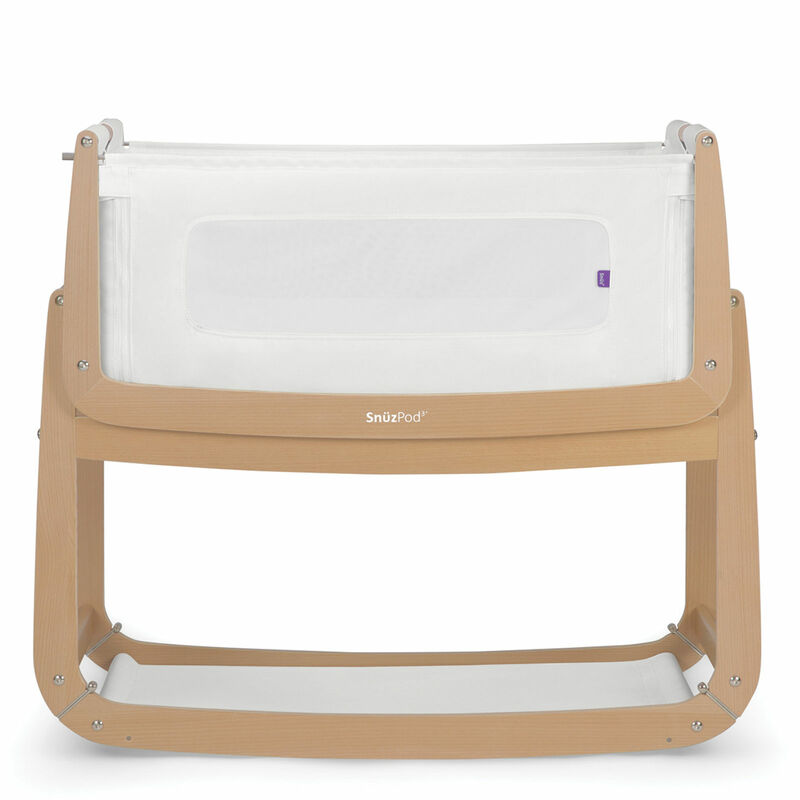 Lift off bassinet: Replacing the need for a moses basket, the new wider and lightweight bassinet simply lifts off so it can be used around the home during the day. Equally as useful when visiting family and friends, it allows you to maintain baby’s familiar sleeping environment wherever they are. 3. Stand-alone crib: Zip up the mesh wall to create a four-walled crib. 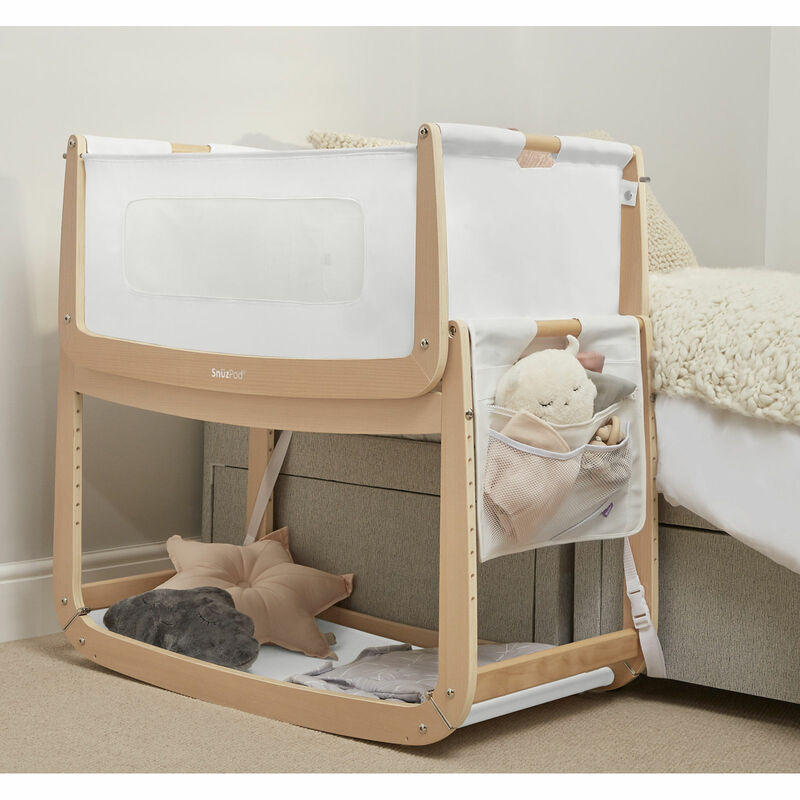 This allows for an easy transition from your bedroom to baby’s nursery and is equipped with a rockable stand to help soothe baby to sleep. The convenient storage shelf is perfect for keeping those night-time essentials close at hand. The transparent mesh enables you to see baby at all times. The SnüzPod3 features a new reflux incline which helps to reduce reflux and therefore provides a more comfortable sleep for your little ones. Also included comes a quilted safety mattress which uses only OEKO-Tex 100 Certified materials. Its no wonder the SnuzPod has recently been awarded Mother & Baby Best Cot, Crib Or Moses Basket, Best Cot Design In Junior Design Awards And Best Crib & Best Sleep Solution In The Loved By Parents Awards.